19th Anniversary of Digimon Adventure 02 & 13th Anniversary of Digimon Savers! Thread: 19th Anniversary of Digimon Adventure 02 & 13th Anniversary of Digimon Savers! It's the 19th Anniversary of Digimon Adventure 02! 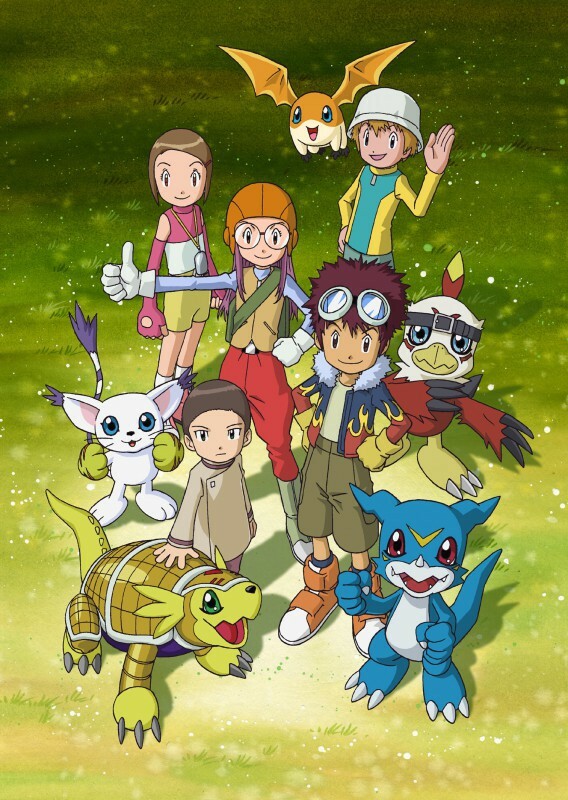 Digimon Adventure 02 premiered on April 2nd, 2000. Adventure 02 was the first anime that came after Adventure, and it came in a form that to some degree, is still sort of unique and is still pointed out (and Adventure still goes with to this day.) Not wringing out every story bit from the characters as they are in a never ending roundabout with an eventual change, but telling a tale and jumping forward to a new story. 02 jumped a few years ahead and introduced 3 new leads with unique and interesting Digimon joining Takeru, Patamon, Hikari, and Tailmon. The rest of the leads from Adventure were recurring characters with the time jump having various defined character change for them. The show was also interesting in that it added a few new types of evoltion into the anime, which the franchise has played with various twists to evolution continuing on from here. From a technical perspective, 02 is also unique in that towards the end, Toei changed the production chain, so while most of 02 uses older composite video, the last few episodes moved over to component, a change that would benefit future Digimon shows. It's the 13th Anniversary of Digimon Savers! 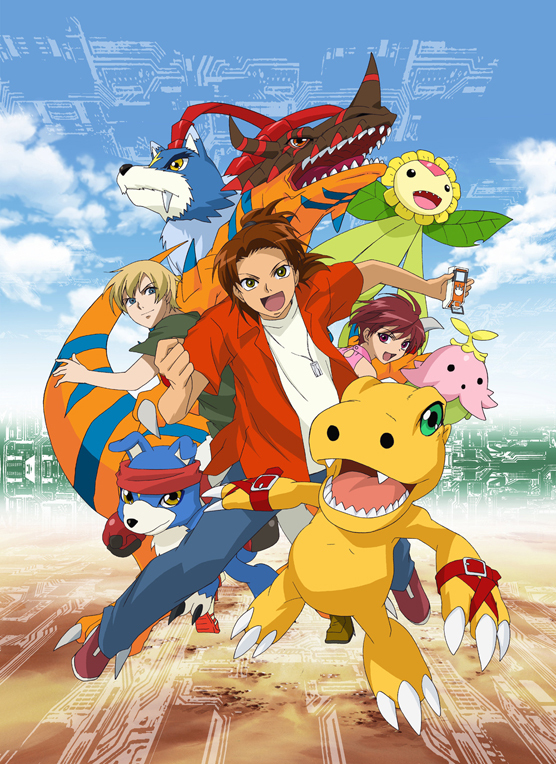 Digimon Savers premiered on April 2nd, 2006. Savers has an odd and unique place in the franchise. It's the first time it came 'back' after the original run of the anime ended. There were various comics, games, products, even X-Evolution, but nothing fully 'ongoing' in a way easy for people to connect to. Savers both went back to elements that helped defined the franchise (Agumon as a lead, with a bunch of Greymon evolutions), while also going with a new art style, and going with a general mood of feeling more actiony. The primay leads of Masaru, Touma, and Yoshino are still well remember today, and they were later joined by Ikuto, along with a wide range of recurring characters ranging from various members of DATS and Masaru's family. A bit of a fun time for 02 and Savers fans to share their thoughts on two very different shows. We did a breakdown of the Digimon Adventure 02 BD-Box a few years ago. We also did a breakdown of the Digimon the Movies box a few years ago. This contains both 02 movies and the Savers movie. I'll always like 02, even if it isn't perfect. The idea of legacy characters inheriting their forebearer's power (thematically or otherwise) is certainly a fun one, and one they enjoyed playing around with. Sure the plot meanders and goes nowhere half the time (Destiny Stones, Daemon, etc) but I still find the Myotismon twist to be satisfactory. Savers, on the other hand... oof. Despite mostly liking Frontier, it gave me enough of a sour taste that I didn't commit to Savers when it popped up. I only watched Savers recently, and it was not that great. Maybe part of that is that we've seen so many Royal Knights/Yggdrasil stories since then and this one would have been more novel back when it aired, but whatever the reason, it doesn't really hold up. The hints at a larger world (Olympos, Demon lords) never really go anywhere either, which is disappointing. 02. That sure is a sequel. Really something right there. As per the agreement after Tri, I won't mention any ships or the wars. Or the ending. World Tour was interesting. Savers however, that was fun. Somewhat different but somewhat the same. Plus it had some great characters. I think someone here really liked the commander and Kudamon. heh heh Still nice that there was an "adult" on the team since a lot of us might have been her age by then. I suspect I'm going to be on the flip side to how most people react this. I had a strong dislike towards 02 as a kid, so there aren't too many fond memories towards it. At that time I didn't really like Davis as a lead and very few of the story arcs held my attention growing up. The only big one that I remember looking forward to was the dark spore story line and then I was sorely disappointed by Belial Vamdemon showing up at the last minute. The only thing I could really take away liking at that time was actually seeing Ken going from an antagonist to a genuinely kind person. Being older however I can realize a certain childish bitterness that attributed to why I didn't like 02: the fact they changed most of the cast. I just loved Adventure so much that I was expecting them to continue the story with the original cast. (Rather ionic in hindsight now with Tri and how a lot of people feel about that.) Perhaps I should rewatch 02 sometime because I've realized that bitterness was holding me back. Wow 13 years since Savers, now that makes me very nostalgic. I generally still get the impression it's not as well liked in the fandom as anyone I've tried to talk to about it always puts it down. I have yet to watch the dub cause I was in a subs phase around that time that aired. I know it's full of Shonen cheese, but man I love all of it and still do. Honestly I feel like it took a lot of core aspects adventure had, mixed it with some of the softer Sci-fi elements of tamers, and then added it's own spice to make it unique. Honestly I still feel it's a pretty solid entry in the Digimon Animated franchise. I hope that it'll get some more merchandise love in the coming years. Honestly this is also a pretty good excuse for me to finally get around to watching the dub. Savers (or Data Squad, as I've only watched it dubbed) was just fantastic in my opinion. Marcus was not a gary-stu, he had a lot of growth, and was a premier lead. The other mains, Thomas and Yoshi, each got fully evolved and fleshed out very well. Thomas' introduction and backstory remain some of my favourites of the series. Feels kind of surreal that Savers came out 13 years ago.